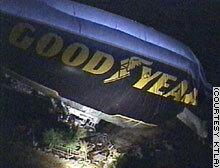 CNN is reporting that Goodyear’s west coast blimp just crashed. Perhaps “crashed” isn’t the right word. As ususal in these cases, no one died. It’s pretty hard to get killed when your trusty steed is a giant airbag with a cruise speed of 30 mph. These blimps are quite rare, even by aviation standards. Goodyear is one of the best known airship operators, and they only have three of ’em. Well, two after tonight. And the one they just lost was barely a year old. 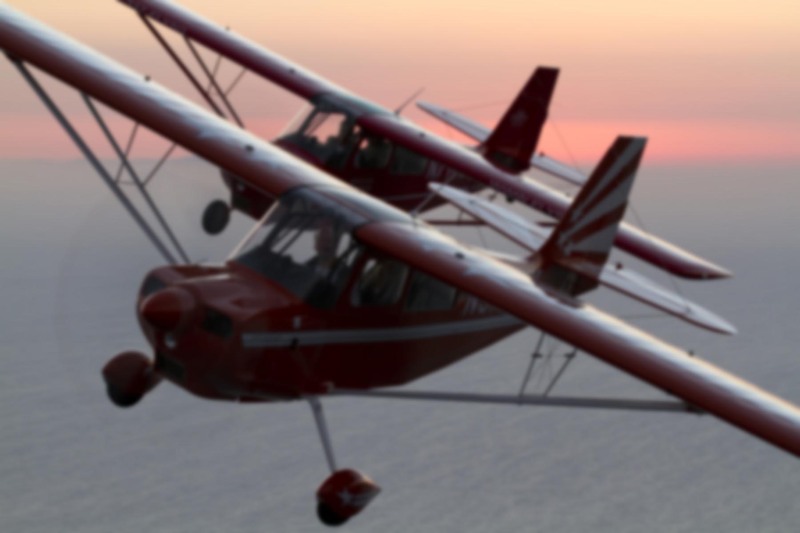 Called ‘The Spirit of America’, it was a common site at Goodyear’s landing facility in Carson. The landing field is right next to the freeway, so you would often see the airship coming or going. And when it was moored at the airfield, it acted as a gargantuan windsock, always pointing into the wind. It’s not exactly a speedy conveyance–heck, in a stiff headwind a pedestrian on the ground could literally outpace it! But for as long as I can remember, I’ve loved it. The Goodyear blimp is an old friend, a longstanding piece of the Southern California landscape. I encountered quite frequently. Flying overhead during an Angels game. Cruising down the beach in the summer. I even have a few friends who made their livings flying airbags for Goodyear. A few years ago, I spent what felt like an hour holding short of the runway at John Wayne waiting for the blimp to make a simple touch-and-go. At 30 mph, it takes a while. It was interesting to watch, though. The gondola has a single wheel underneather it, so the blimp doesn’t land as much as it just sort of bounces. Then the pilot hit the gas. Full throttle! And they rocket away at the blistering speed of 20 mph. They’re so bloody expensive to manufacture and operate. But I hope Goodyear has the financial incentive to repair or replace ‘The Spirit of America’. Los Angeles just wouldn’t be the same without it.